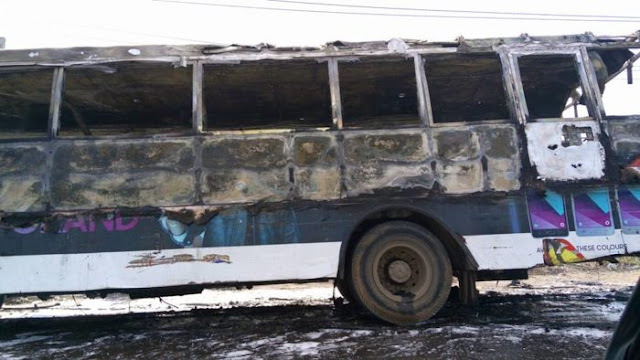 Some members of the Deeper Life Bible Church escaped death yesterday when the BRT Bus taking them back to Lagos after a 4-day retreat suddenly burst into flames. 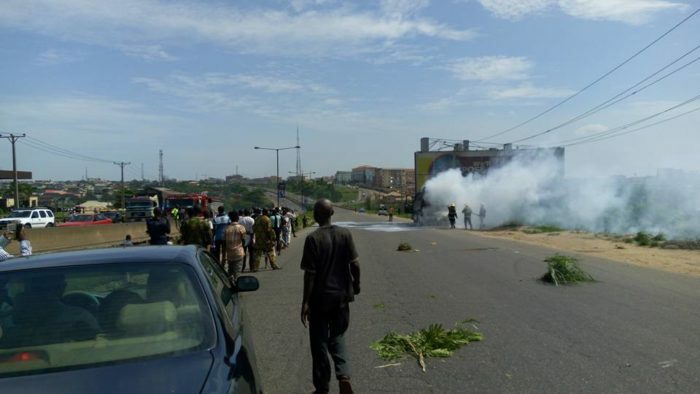 At least 100 DLBC members escaped death in the incident that happened on Easter Sunday on the Otedola Bridge axis of Berger. 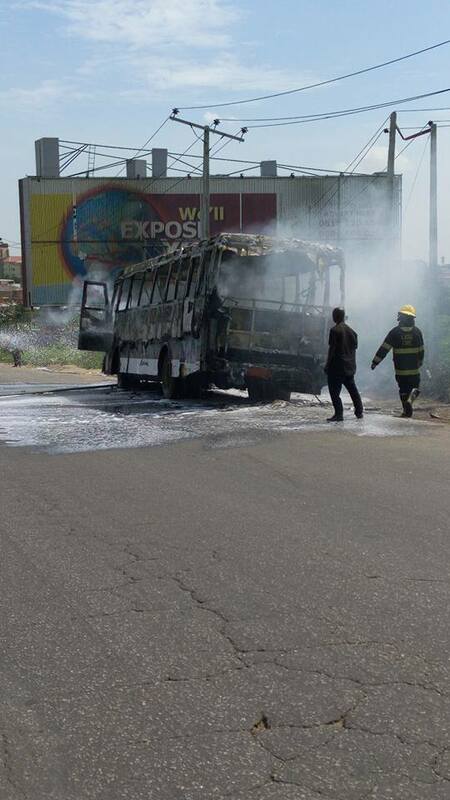 LASEMA operatives arrived the scene of the inferno to rescue the worshippers before the bus burst into flames . 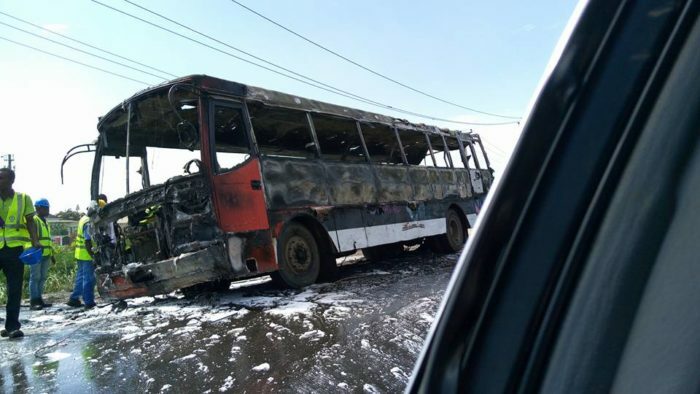 A source who witnessed the incident said the bus filled to capacity caught fire due to overheating. Trust my people, they will say it is a spiritual attack. Whether physical or spiritual attack , we thank God no life was lost. God in Heaven I say thank you….E see Baba..
God we thank you for the lives saved and for taking away the reproach of your people!! !